The modern attaché that's sleek and portable, with enough style and roominess to spare. 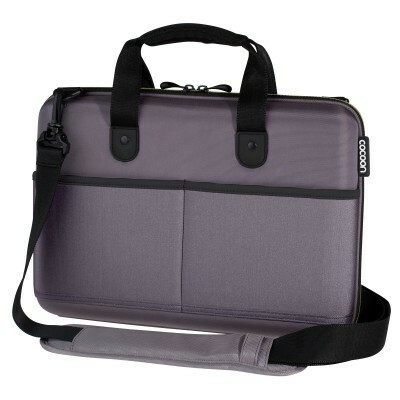 Ours is molded EVA to accommodate your 13" MacBook/Pro, in a compact, shock-absorbent design that's airport friendly. Overhead-compartment and under-the-seat friendly too. Inside this case, our non-slip design snugly holds your computer in place, and two easy-access neoprene pockets keep files handy while a contoured neoprene storage pocket allows for additional storage. The GRID-IT!® system organizes all your MacBook accessories and other digital devices, and there's a padded handle for comfort. Carry on! W:14.5" x D:3.15" x H:10.75"
W:13.8" x D:1.2" x H:9.6"
W:13" x D:.34" x H:8.75"